Chase Ultimate Rewards is a terrific rewards program for redeeming high-end hotel awards and premium cabin airfare. Ultimate Rewards transfer to 13 different hotel and airline partners at a 1:1 ratio, each with sweet spots for high-value redemptions, and are comparably easy to obtain using Chase’s portfolio of Ultimate Rewards earning credit cards. Collecting Ultimate Rewards also provides access to the Chase Travel Portal, where cardmembers can redeem points for a variety of travel including airfare, hotels, cruises, and car rentals. Each option can offer substantial value under the right circumstances, and today we’re digging into the benefits of redeeming Ultimate Rewards points for airfare through the Chase Ultimate Rewards Travel Portal. Which Credit Cards Allow You to Use The Travel Portal? Chase offers a total of six generally available rewards-earning credit cards that allow you to book travel through the Ultimate Rewards Travel Portal. Each card features its own earning and redemption ratio, which can be affected by other cards you hold within the Ultimate Rewards family. For example, the Freedom Card earns 5% cash back on bonus categories that rotate every quarter and 1% on all other purchases, and you can redeem points for cash back, or at 1¢ per point via the portal. However, if you also hold a Sapphire Reserve, you can combine points between your Freedom Card and your Sapphire Reserve account, and redeem those points at 1.5¢ per point. That’s a return of 7.5% on every dollar spent on the Freedom Card in the 5x category! You can redeem points earned on any of the cards above in the Chase Travel Portal. However, you’ll need to pair the three no annual fee cards with one of the premium cards to redeem for a higher rate through the portal, and if you want the ability to transfer Ultimate Rewards to travel partners. Saver-level award space is a declining resource. And except for revenue-based rewards programs like Rapid Rewards, competition for those award seats is stiff. One of the downsides of award travel becoming so popular is more people competing for a limited (and in many programs declining) number of award seats, particularly premium cabin awards. As airlines carry more passengers and continue to be more profitable, they have less of an incentive to offer up those seats for fewer miles. Airfare purchased through the Chase Travel Portal is treated as a revenue ticket. If there is a seat available for cash, you can buy it by redeeming Ultimate Rewards through the travel portal. If your travel dates are locked in, and there is no award availability, booking through the portal allows you to use points and book an award flight without blackout dates or the need to search for award availability. Transferring Ultimate Rewards points to partner airlines for premium cabin redemptions returns the best cent-per-point value for your rewards points. Unfortunately, the same can’t be said for redeeming economy fares through airline transfer partners. The Ultimate Rewards Travel Portal operates similarly to Online Travel Agencies like Priceline.com or Expedia.com. You can book flights on any airline that participates in a global distribution system like Sabre or Amadeus, and your reservation will be treated as a revenue ticket. While low-cost carriers Southwest, Allegiant, GOL, and Norwegian won't be displayed when searching in the Chase Travel Portal, you can still book them with your Ultimate Rewards by phone on 866-951-6592. Likewise, you can also redeem points through the Chase Travel Portal for mistake fares, a subject tackled in detail in our Facebook community, Award Travel 101. Booking hotels through the Chase portal, you typically won’t receive elite status benefits, elite night credits, or points for your stay as the portal is considered a 3rd party booking site. When booking airfare, however, you are eligible to earn miles. Your reservation is treated as a revenue booking, and you earn frequent flyer miles and elite status credits, plus you'll enjoy any benefits granted by your elite status — just watch out for any “basic economy” fares, which come with their own set of restrictions regardless of where you book them. Award travels' biggest out-of-pocket expense is typically taxes and fees, particularly on airlines that levy carrier-imposed surcharges (often labeled fuel surcharges) like British Airways. These fees can top $1,000 on round-trip international business class awards, and we’ve dedicated entire posts to avoiding these additional costs, which details the best carriers, routes, and frequent flyer programs to avoid paying excessive fees. One of the benefits of redeeming points through the Chase Travel Portal is that taxes and fees are included in the redemption, not added to the top as an additional expense. Your Ultimate Rewards points pay for the entire cost of the ticket, including taxes and fees, reducing your cash outlay. Learning the ins-and-outs of every transfer partner is a daunting exercise that can take years of fumbling through award charts, routing, and airline partnerships. It’s intimidating for beginners. For those with only a casual interest in award travel, the time invested can be better spent on more profitable activities. In stark contrast to this, the Ultimate Rewards Travel Portal is ultra-beginner friendly. The booking engine is easy to navigate and functions similar to an online travel agency. You have the option of paying with points only, a mix of cash & points, or solely using the Chase credit card attached to your account. We love using the Chase Travel Portal to book award flights. You receive a guaranteed return on your points depending on the card you hold, avoid blackout dates or a lack of award availability, and can save thousands of points booking low-cost economy airfares. But there are still plenty of situations where you’ll get a better return on your Ultimate Rewards points by transferring them to travel partners. Booking close-in is another circumstance where transferring points can provide better value than redeeming via the portal. The cash price of tickets typically rises the closer you get to the departure date, whereas the award price in miles stays the same. Airlines are known to release additional saver/low-level award seats close in, increasing your chances of bagging an award ticket. That said, waiting until the last minute isn't a strategy we'd recommend unless you're ultimately flexible. Redeem points from the Freedom Card, Chase Freedom Unlimited®, Ink Cash, and Ink Business Unlimited through the Chase Travel Portal for 1¢ per point if it’s the only Ultimate Rewards earning card you hold. If you have theSapphire Preferred, Ink Plus (no longer open to applications), or Ink Preferred, you can redeem points for 1.25¢ per point through the portal. Sapphire Reserve cardholders can redeem points for 1.5¢ per point through the portal. If you hold both a no annual fee card and another card from the Sapphire or Ink family of cards, you can combine all of your points to the card with the highest redemption rate, potentially getting 7.5% back on every dollar you spend (during those 5x earning promos)! Holding one of the annual fee cards also allows you to transfer points to airline and hotel partners for redemptions against that particular airline or hotel programs award chart. Don't forget, by using Ultimate Rewards for a travel booking, you're still covered by the trip insurance offered on your associated Ultimate Rewards earning credit card, even if you don't pay any cash! If you have any questions about how to redeem your Ultimate Rewards points through the travel portal, please reach out below. Great post, I didn’t even consider using the UR travel portal up until now. I’ve used this portal a lot. It’s a great way to use points to get miles and earn FF and status at the same time. Great post! I hope people read this and really consider using their points this way! I have been using the travel portal for quite a while and you are certainly correct; it is easy to use, no blackout dates and you earn frequent flyer miles to boot! This is definitely a great way to use UR points if there are no good mileage redemption options, but you always need to be on top of these things as often you can get significantly greater than 1.5 cents per point on premium cabin mileage redemptions. For me there will always be better mileage redemptions for UR points via partner transfers, than by using them at their fixed value booking through Chase Travel. Does the portal always show the same prices you’d pay if you bought the tickets directly from the airline? The portal will provide a similar experience as you’d receive through any online travel agency. It should provide the same but keep in mind you could filter out some basic economy fares and it may display things differently, but you should be able to price it out the same. That said, online travel agencies sometimes display different fares, so its always good to check multiple sources regardless of how you purchase. Great post. I’ve also found great car rental deals that were far better than I could find anywhere else, including Costco Travel, which is my usual go to for rentals (coupled with AutoSlash). Does Amex or Citi have similar portals for best transfer of points? Unfortunately, when I first got in this game, and I agree too many visa credit card to charge the specific hotels or Airlines and now I can’t get one of these are flexible visa cards because I have exceeded the Max number. 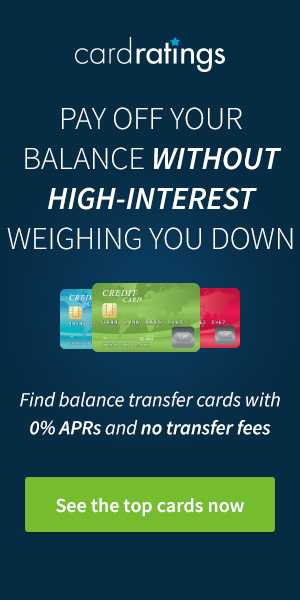 Has anybody had any success with calling Chase in offering to scale down the number of cards in order to be approved before one of the flexible reward cards? Most recently they actually approved me for the Ritz Carlton card, they had previously denied me approval for the southwest card but I really wanted it for the companion benefit. In addition though, they offered me a large line of credit on my new visa card but then reduced my lines of credit on all of my other ones. It was a nice way to be a proof for the card but I would have one of the southwest card then even more or even better one of the flexible cards. Amex and Citi have similar portals — Chase IMO is the best of the three in terms of value and experience. Yes, Chase will adjust your lines accordingly. I had an old SW (formerly Airtran through Barclay that was sold to Chase) that I never used because it had a high interest rate but didn’t want to close the acct because it was so old and I had a new SW card, a Chase British Air card and Chase SR and applied for the Marriott card. They actually called me to say I was approved but the combined limit of all my cards was over like 40 or 50 k or something so they said I could reduce the limit on one of the cards and get the Marriott so she dropped my old SW to $200 and gave the remaining 8 k on the new Marriott and I got the card and the 100k bonus shortly thereafter. Didn’t know you could call to book budget airlines! I will have to try the Ultimate Rewards Panel before I transfer points to United Miles for award travel. I didn’t know they’re award flights? Sorry, I don’t understand if you’re asking a question. Are you? I did not realize that I could book travel with Norwegian Airlines using the Chase Portal. You literally just saved me $1000, at least. You guys are awesome. I’m definitely a happy paying customer here. Awesome news! Glad to hear. The Chase phone agents are pleasant and helpful. I have not booked using the Ultimate Rewards Travel Portal before, but I will definitely check it out for my next booking to see if it is the best option. Thanks for the info. 1.5 cents for a revenue ticket is going to be a great deal on everything other than international premium cabins. Good reminder! I find the prices higher for hotel stays than other sites even after the 20% discount. I actually helped friends make a booking through the UR portal last night for a trip where multiple people are going but starting from different locations. It would have been impossible with non-flexible airline points. But easy and almost free with UR points. They were definitely happy! Thanks for this article. So many people bash the Ultimate Rewards travel portal because they “can” get better deals by transferring the points, but not always! With mistake fares the portal can be great! The portal provides great flexibility to optimize value from UR points. A wealth of good info here. Thx for another informative post! I used UR portal for my ticket on American! It was very easy and I will use them again. It was much cheaper to discount my tickets with my Chase points than to buy a ticket. I will make sure to research before I book with them next time too. Thank you for the brain poke! Great post. I have enjoyed the Chase travel portal and it is definitely easy to use, but you always have to check all the sources to make sure you are getting the best deals. On recent flights to O’hare for Xmas I was able to find better flight prices directly thru the airlines with Google flights, but had to book each way on a different airline for the best price (which I may have found the same price with the UR portal on those flights but that would have taken more time). When transferring points to partner airlines, how long does it take for the miles to transfer over (say if transferring UR points to United)? great article. I was able to use the portal recently to book a hotel stay and it was cheaper than other sites. Fantastic post, I just booked a last minute ticket for my mom to visit on New Years’, no award availability anywhere…except on the Chase portal. Found a decent priced ticket, and booked it using Chase points. Great article! I just booked a last minute flight for my mom to visit on New Years, no award availability but found a decent price and booked it thanks to Chase points, happy camper! Use caution so that you know what type of ticket you are purchasing. I received an unhappy surprise when I booked tickets on a European carrier (not a budget airline) thru UR – – massive baggage fees at the gate (exorbitant fees, and took almost an hour to process). What about Wow air? Just found this article, been wanting to try them out. Also has anyone tried their “business class” seats? I like that from Boston flights are cheap ( can get there w/ SWCP) and then short flight to Iceland and then just a short flight to Paris or beyond. good option to book with points! Thanks. 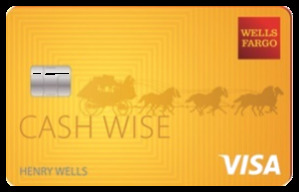 I never looked into this, and except for certain offers, like the MileagePlus cards, just use my Chase cards during the 5% bonus periods, and now see how to get maximum value from it. I think it’s easier to transfer UR Points to Southwest than going through UR Travel especially if you don’t have a CSR. I’m seeing points rates round 1.5 ppp or better. I use the Chase Travel Portal quite often. I didn’t know that my cc trip insurance would also kick in even when using the portal. Good to know! Cant see how it would ever make sense to use your chase card and redeem your chase ultimate reward points for revenue tickets at 1 or 1.5c per dollar spent. Might as well make the charges on a citi double in the first place that gets you 2 cents per dollar spent in cash without having to go through the trouble of booking through chase’s portal. Where it does make sense is when you convert these points to miles and get a lot more than 2c per point converted as is usually the case with biz class award tickets or close in flights that are expensive as you mentioned and some short flights that are expensive in dollars but cheap in points since some airlines now have discounted redemptions on short haul flights. But if you’re earning 1.5x with a Freedom Unlimited or earning 2,3,5x on another card combined it can absolutely make sense. Yes, to optimize you’d want to make sure none of your 1X spending, in theory, goes towards these travel expenses, but the ease of not having to think about it can be added value, even if you’re not fully optimized in your redemption. I agree Ed, but I’m mainly interested in sign up bonuses for credit cards. In which case, the issue for me is how to best make use of 100,000 Chase Ultimate Rewards points, or something like that. And for me personally, my goal is to get as many economy flights to Europe as I can, which means the best bang for my buck is to book Norwegian Airline flights using the Chase Portal. This is the most helpful overview I’ve seen. I’ve taken to paying my estimated taxes using the Chase CSR; even with the fee the significant number of extra points is a plus. Just wish Alaska Airlines and Hilton were also transfer partners. PSA if you book a United flight using the Ultimate Rewards portal and you have the United credit card, you won’t get the free baggage since the ticket needs to be purchased on the United credit card. This is good to know. I have never tried their portal before. Chase Ultimate Rewards is hard for me to come by due to the 5/24 rule. I am going to slow down my amount of travel. Hopefully, that will slow down my credit card apps to qualify for Chase cards again. Great post! I didn’t realize that using points for travel through travel portal would save on the taxes and fees! Will definitely keep that in mind when I’ve accumulated enough points. Those fees can be quite costly. The CSR makes UR points more flexible.